Do You Know Your Autumnal Ingredients? 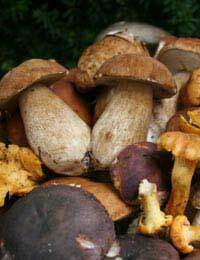 Home > Salads & Vegetables > Do You Know Your Autumnal Ingredients? Why waste time lamenting the passing of summer when there is an array of Italian dishes that are perfect for easing the soul into the autumnal months. Whether it be a hearty soup, rich risotto or pasta, or a braise of red meat, washed down with a grape guaranteed to remove the chill from the bones, variety is most definitely never in short supply courtesy of the season’s ingredients. So as the nights draw in, settle down with these 10 simple questions that will whet your appetite for la cucina d’autunno. beautifully suited to accompanying a wide range of autumnal dishes. Which northern region is synonymous with this jewel of viniculture? to add depth to desserts or even boiled in red wine before the shell is peeled away and the flesh enjoyed as a snack or aperitif? What is the name of this versatile kitchen cupboard staple? with the idea of producing a hearty minestra. Which Ligurian condiment can be added as a garnish to the finished soup in order to enhance its richness? in search of mushrooms and truffles from nearby forests. In order to avoid cooking anything poisonous, where can they go to verify that their basket only contains edible varieties of fungi? with the Veneto region and can be braised as a side dish, or its leaves used as a component in a robust salad course. What is its name? as an accompaniment to meat or fish, or puréed and mixed with nutmeg and prosciutto cotto as a filling for ravioli or other pasta parcels. What is it? the small confectionary whose name translates from the Italian as “kisses” but will also be hosting its annual festival devoted to chocolate in October. What is the name of this home sweet home? from Piedmont that is usually accompanied by crudité. What is the name of this culinary bathing beauty? the cake that counts almonds, pine nuts and Vin Santo among the ingredients, and is a perennial favourite with tourists from around the world? 10 The combination of a leafy green vegetable and a cream cheese makes for a satisfying vegetarian alternative stuffing for cannelloni. What are the names of these perfect culinary partners? 1 Piedmont; 2 Chestnut; 3 Pesto; 4 Farmacia (chemist’s); 5 Radicchio; 6 Pumpkin; 7 Perugia; 8 Bagna Caoda; 9 Siena; 10 Spinach, ricotta.